FUN-loving 21-year-old Louise Cattell died in March after drowning in the bath. She had taken ketamine and fallen asleep. To thousands of young people like Louise, taking the “party drug” known as “Special K” or “K” is as much a part of the weekend as dressing up and cranking up the volume. The numbers are hard to verify but conservative Home Office estimates suggest about 150,000 youngsters regularly take the drug more commonly used as a horse tranquilliser. Ms Cattell’s parents, who live in Belsize Park where she grew up with her brother, want to use their daughter’s memory to raise awareness of the drug’s dangers. 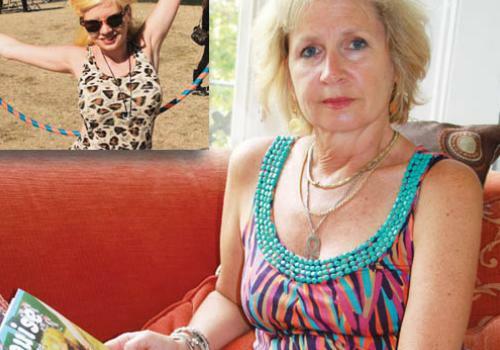 “People are playing with fire when they take ketamine and they just don’t know it,” says Louise’s mother, Vicky Unwin. “They live in a kind of la la land. Because it is cheap, available and everyone is taking it they think it must be safe. “There is so much ignorance and stupidity about taking drugs. The circumstances are very different from Louise’s but I think ignorance about drugs is what we are getting from the tragic death of the 15-year-old girl in west London. Louise – a talented photographer and DJ who was hoping to break into the fashion industry – had taken the drug with a group of friends after cooking them dinner at her flat in Clapton, east London. They had drunk some wine, watched the TV for a bit and Louise had run a bath to help her wind down. An hour later her flatmate woke up realising something was wrong. She found Louise in the bath and desperately tried to resuscitate her but she was pronounced dead at the scene by paramedics. Vicky says the family’s campaign should be used not to call for tougher enforcement or to ignite another debate about classification (ketamine is currently class C), but to encourage youngsters to know the risks and look out for each other. “With Louise’s friends, the response has been to fall into two camps,” she says. “A lot of them have moved away from the scene, but I think some are just carrying on as usual. The campaign will aim to get people talking about ketamine. It will be viral, on Facebook and YouTube. “But I strongly suspect a lot of the deaths are hidden. “Either because they get recorded as other things – in Louise’s case, misadventure or drowning – or they are not spoken about because of embarrassment. Ketamine’s effects on the user are powerful. It depresses the nervous system, causing a loss of bodily sensation. The outer body experience is known as “going into a K-hole” and some users struggle to move or feel pain. Doctors say taking ketamine becomes more dangerous when mixed with other drugs, notably ecstasy and amphetamines. And the side effects can be even more disabling when, as in Louise’s case, you drink alcohol. It causes heart trouble, shortness of breath and, in the most serious cases, unconsciousness. David Nutt, former chairman of the British Advisory Council on the Misuse of Drugs, had suggested upgrading ketamine from a class C drug before he was sacked from his post. For the campaign, the Cattells are planning on getting some of Louise’s friends together to make a short film about her life. And since the family were forced to abandon plans for a small private funeral when they were inundated with messages from Louise’s friends, they are now going to hold a large humanist memorial service in June. People will be able to share memories of Louise, and they will launch magic lanterns into the sky over Primrose Hill. “I think Louise would have liked the idea of the memorial,” Vicky says. “It would appeal to her spirit of adventure.